There are quite many possible replacements for Zlatan Ibrahimovic if he would leave PSG this summer. Here we will list some of the most likely candidates that might be in for a move to PSG in case Zlatan Ibrahimovic leave PSG. Ezequiel Lavezzi will most likely stay in the club and he is almost given a permanent spot on the top of the PSG squad. So the potential newcomer to PSG needs to be able to play with Lavezzi and also fit well into a club that is aiming to be the best in the world. The Manchester United icon Wayne Rooney has the last two years been surrounded with rumors about how he has been having problems with <headcoach>. 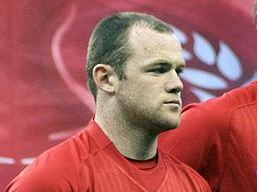 This summer it seems very likely that Wayne Rooney would leave Manchester United and try his luck at other places. Competition for the signature of Wayne Rooney would most likely by Real Madrid which have been having an eye on him for a while. If PSG would be able to bring Wayne Rooney over to Paris and get his signature he would be a boost to the team. In the last month there have been rumors stating that Wayne Rooney is already basically done for PSG and that there should be an agreement between between the two. One thing that speaks against this however is that Ancelotti has publicaly denied that Wayne Rooney is going to come to Paris. 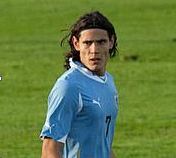 As we here at ZlatanIbrahimovic.net have reported several times Edinson Cavani is one of the main targets for PSG this summer. The Uruguayan has been rumored that PSG has already started discussions about a contract and that they have already reached a provisional agreement. PSG has not denied this rumor and did not also want to confirm it but given that it comes from a reliable source who also claimed a deal between PSG and Lavezzi ahead of time it seems like a reliable rumor. Cavani would be a very good signing for PSG considering that Cavani is scoring as many goals as Zlatan Ibrahimovic. Also if Zlatan Ibrahimovic would stay at PSG they would most likely make a good pair together and score many goals for PSG the comming season. 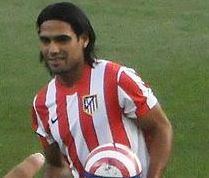 The Atletico Madrid owned Radamel Falcao has also recently been linked with rumors of a transfer to Paris Saint-Germain. Falcao is from Colombia and has recently in January stated in media that he would be interested in a move to PSG. However, there are other clubs interested in signing Falcao, among them we see Manchester United, Manchester City and Chelsea. If Falcao would sign for PSG it would most likely be a very expensive transfer considering the competition for his signatute. But then again, PSG probably can afford it. The Real Madrid attacker has recently gone out stating that his future in the club is unclear if looking beyond this summer. Gonzalo Higuain will most likely move to some club this year and considering that he has a French passport he would be considered a domestic talent if signed by PSG. The Argentine Gonzalo Higuain is a very good striker and would be a good replacement if Zlatan Ibrahimovic leave PSG. For Gonzalo Higuain a lot depends on if Jose Mourinho and Cristiano Ronaldo would leave Real Madrid. 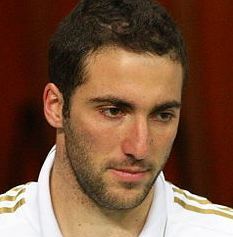 If they leave most likely Real Madrid can not let Gonzalo Higuain go. A wild-card among the other names is Pierre-Emerick Aubameyang. The only reason Aubameyang is included is that Leonardo has claimed that he is looking for more local talents instead of already high profile names. 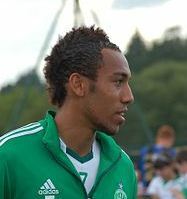 Since Pierre-Emerick Aubameyang is already playing in Saint-Etienne it would be easy to bring him over to PSG. There have also been many rumors about Pierre-Emerick Aubameyang lately about a possible transfer but no confirmed clubs. Pierre-Emerick Aubameyang has done a really good season this year with a total of 19 league goals and PSG are probably looking at him as a potential signing. Most likely though it would not be as a replacement if Zlatan Ibrahimovic leave. Since PSG is aiming to be one of the best clubs in the world they need to look for more high profile names if they are going to replace Zlatan Ibrahimovic. Zlatan Ibrahimovic leave or not? In the end it all comes down to which players actually leave PSG this summer. If both Zlatan Ibrahimovic and Ezequiel Lavezzi stay put in the club there is no real reason for PSG to look elsewhere. There is however a chance that the can still sign high profile names like Wayne Rooney, mainly due to not beeing a good player but also to boost soccer jersey sales. This entry was posted in Transfer Rumors and tagged replacements for Zlatan Ibrahimovic, transfer rumors on April 30, 2013 by Johan Bengtsson.